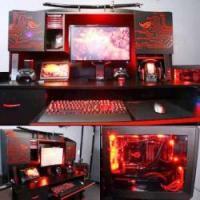 Welcome to my concept and build log of the ROG Battle Station. 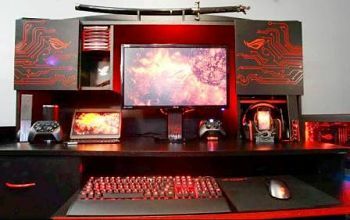 This setup was created with around 100 hours of modding and building including the ROG Air 240. The design and theme of both were inspired by the Republic of Gamers. I enjoyed the look of my ROG Air 240 build with the Maximus IV Gene-Z at its center and wanted the rest of my setup to match as well.